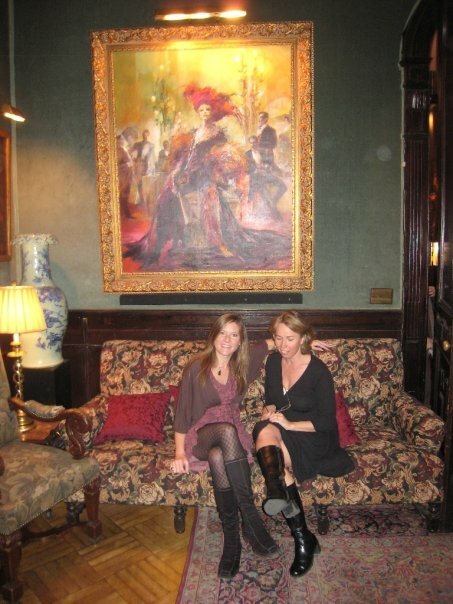 Yesterday I was studying memoir with the International Women’s Writing Guild at the National Arts Club. It was a great group of women in New York’s most beautiful brownstone. This morning I was journaling about how much I love writing conferences and being in community with other writers. I also love Twitter chats around the hashtags #blogchat and #wjchat (web journalist). Writing is a solitary endeavor so communing with other writers online or in person inspires and energizes me. I fill my soul with other writers’ stories and feel less lonely and more courageous when I return to my writer’s desk to write my own story. I love IWWG women’s writing workshops because, beyond the juicy substantive information, i.e., Eunice shared a ton of unknown delicious memoirs, there is always depth, laughter and understanding among women writers. The International Women’s Writing Guild is a fabulous group that has empowered me as a writer, by giving me mentors and a sense of belonging. Thank you Mary Beth for the mention. I had no idea. Yes, it was a lovely event. away enriched, jealous of the writers who produce non-stop and touched by the inspiration angel. See you next year. No problem, it was great to meet you there and chat over lunch! I am so excited to read your novel – I charged my Kindle and now that I’ve downloaded it, I can read your novel, A Collector of Affections — especially looking forward to those HOT scenes!